Woke up yesterday with this email and since then havent stopped grinning. 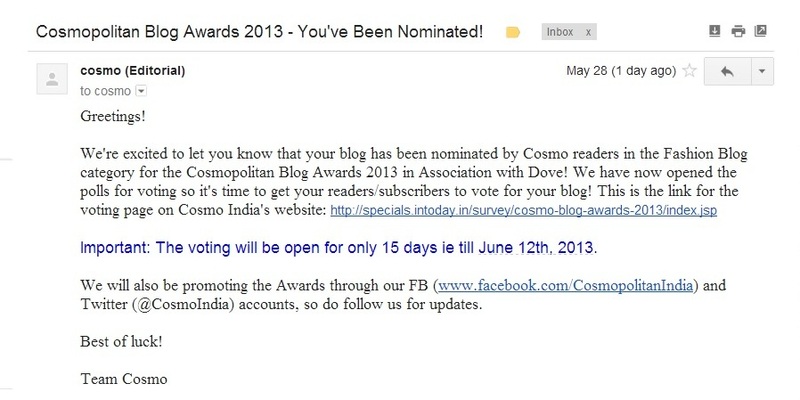 We started the blog last year in June and being nominated for the Cosmopolitan Awards is dream come true. Thank you each and everyone of you for reading the blog, encouraging us and motivating us to keep going and a very big thank you to all of you who nominated us. Work Wear III - Dress up!